We’re taking one bite at a time. 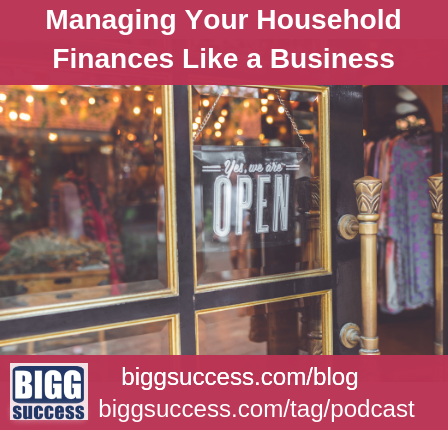 We just said that you should manage your household finances like a business. But now, it’s important to realize that it’s not just any business. It’s a SMALL business. When it comes to finances, large companies have advantages which small companies don’t. The financial side of our households fits the small business model more closely. As a simplified example, let’s say a large company and a small company decides to buy a new vehicle. Some time before this decision, the large company raised a large sum of cash from the public by issuing bonds. So, they just go shopping for a new vehicle. When they find one they want, they write a check. Once the decision was made, the small company gets pre-approved for a vehicle loan. With that commitment in hand, they find a vehicle and take out the loan. As you can see, household finances work like the small company’s finances. That’s why we like to call it “entrepreneurial personal finance”. How can I manage my household finances like a small business? You are the owner (or partner). NOTE: You are NOT just the Chief Executive Officer (CEO) or Chief Financial Officer (CFO). You don’t have a golden parachute like senior management. You have too much skin in the game to exit. Like an entrepreneur, you have to persevere each day so you can fight another day. You don’t answer to the owners. You are the owner. Like an entrepreneur, you are in charge. You must take control of the wheel to direct your ship. Of course, you may fill the CEO role and/or the CFO position in your household. Like a small business owner, you wear many hats. 2) Don’t save. Don’t spend. Invest. See every dollar that goes out your door as an investment. It’s an investment in your present and/or future happiness. In some cases, if you’re honest with yourself, you’ll realize before making a purchase, that the happiness you will gain will be fleeting. In addition, saving money isn’t enough. You have to put it to use. While you’re in the earnings phase of life, you need to fund the harvest phase – the years when you enjoy the fruits of your labor. Your goal is to maximize your return on investment. In other words, to create the greatest amount of happiness for yourself in your time here on this earth. It means enjoying life now and later. It means looking back with no regrets. Many happy returns! Businesses, large and small, have tools to benchmark their financials. For example, they can compare their financial performance to their competitors. From this simple exercise, they can make sound strategic decisions. But there wasn’t anything like that for our personal finances. So we created it! OurFinancial Freedom Tool helps you see how your personal finances stack up to your neighbors. For example, how much do people like you spend on their house, their cars, food, clothes, etc. You’ll know. And even though this tool uses sophisticated concepts, all you have to understand is that smiley faces are good and frowny faces aren’t. 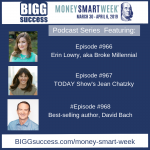 So you’ll know in an instant how your finances stack up.